A home water conditioner system from RainSoft is a cutting-edge product designed to provide you with an unlimited supply of soft water on demand. Our water conditioners are the standard by which others in the industry are measured, using the latest technology to soften your water supply by attacking the root causes of hard water. 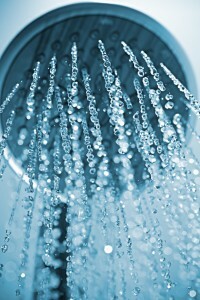 “Hard” water is caused by a high concentration of calcium, magnesium, or other bicarbonate ions. The presence of these elements in your water supply means that it will feel sticky and filmy, and can leave your hair, skin, and clothes feeling dry and itchy, even immediately after bathing or washing. At higher concentrations, these ions may even cause problematic calcium and limescale buildup, which can create unsightly blemishes on your sinks and drains and possibly cause damage to your plumbing and water-using appliances. Plus, you can count on our water conditioners to deliver these results time and time again. All of the systems we offer at RainSoft are Tested and Certified by the Water Quality Association, ensuring that our products perform precisely as advertised. To learn more about purchasing a home water conditioner system, or to schedule your in-home water test, contact your local authorized RainSoft dealer today.